Camping and Cabins on Minnesota's North Shore of Lake Superior. As years pass, more and more of our guests are re-booking current sites and cabins for the following summer. We would like those of you who are staying in our cabins or on our campsites to understand how this works. We allow you to re-book, but limit you to the same sites/cabins and number of days you have on your current reservation, usually moved one date closer to spring (to keep those of you arriving on a Thursday to come up next summer on a Thursday, etc.). We do require a $25 deposit on next summer's reservation, which is non-refundable if you decide not to come. In December we send letters asking if you'd like to keep the reservation already made. If you do and don't want to make any changes, we ask that you pay the balance of the deposit required by December 31st. If you would like to make changes (dates, sites, cabins, adding other reservations, etc.) or cancel the reservation this is the best time to do it, before we start taking reservations from everyone else on January 2nd. This gives our returning guests first chance at open dates on our calendar. It is very important that you tell us if you want to re-book – every single year you are here. We do not re-book anyone automatically, as we do not know your future plans. One of the hardest things we have to do is tell a long-time guest that their name is not on our calendar and their site/cabin has been booked by someone else. We will give you a printed confirmation of your pending reservation and deposit. Thank you very much for choosing Lamb's Resort as your go-to base on the North Shore. Follow the North Shore Drive 80 miles north of Duluth to Schroeder, MN, and you'll find Lamb's Resort on Lake Superior. We are a quiet, family owned and managed resort on 60 acres with more than a ½ mile of private Lake Superior beach. Located in Schroeder, on Lake Superior and the Cross River, we are in the Tofte/Lutsen area midway between Duluth and Thunder Bay. 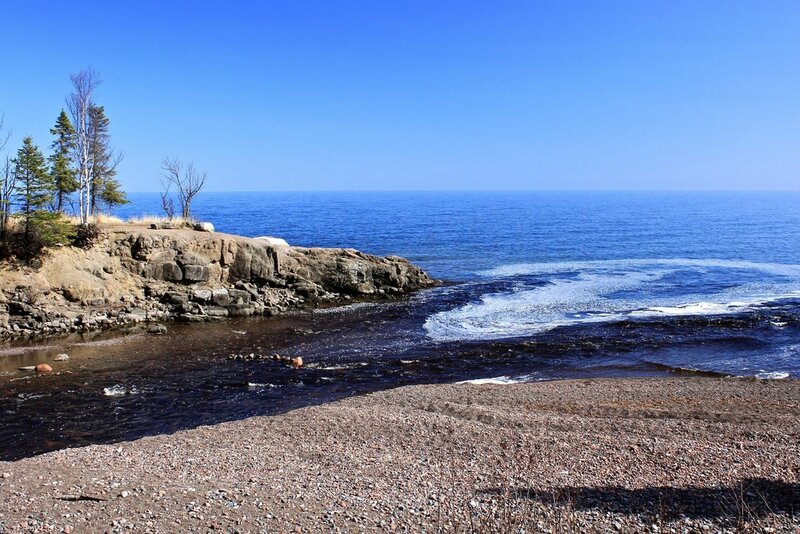 Our convenient location is ideal for folks wishing to explore the entire North Shore of Lake Superior.